Economic moats are advantages that defend businesses from ceding market share and profits to the competition. Unlike the commonly used term "competitive advantage", an economic moat is a benefit that is sustainable in the long-term. 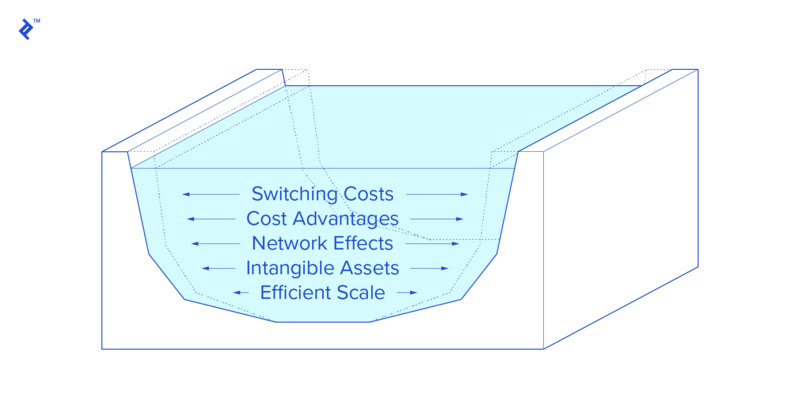 Academia cites up to ten different variations, but the five core types of economic moats are advantages of low-cost production, high switching costs, network effects, intangible assets and efficient scale. From a financial perspective, common characteristics of companies with moats are high free cash flow and a positive return on invested capital (ROIC) less weighted average cost of capital (WACC). These indicate that the business has the cash to reinforce itself and is a more prudent investor in value accretive projects than its competition. 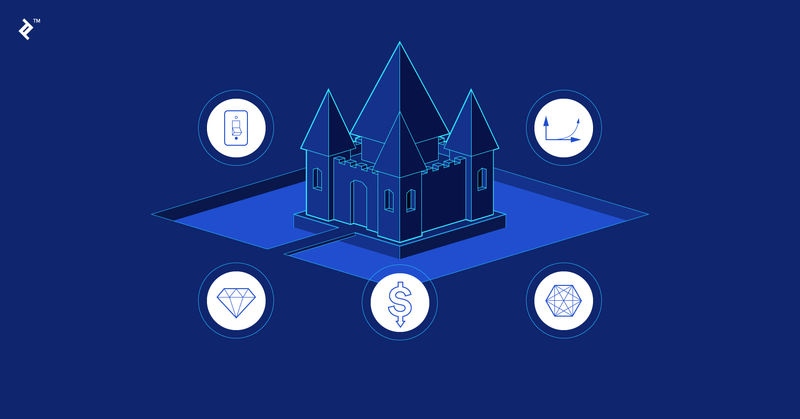 How can a company build an economic moat? Low-cost production: Have a forensic approach to your entire supply chain and abide by the laws of comparative advantage, by outsourcing anything that can be done better and cheaper by someone else. High switching costs: Data builds exogenous switching costs that actually compel customers to stay on their own accord. Invest in data scientists and integrate them with your marketing team, to ensure that insight is deployed in an actionable way. 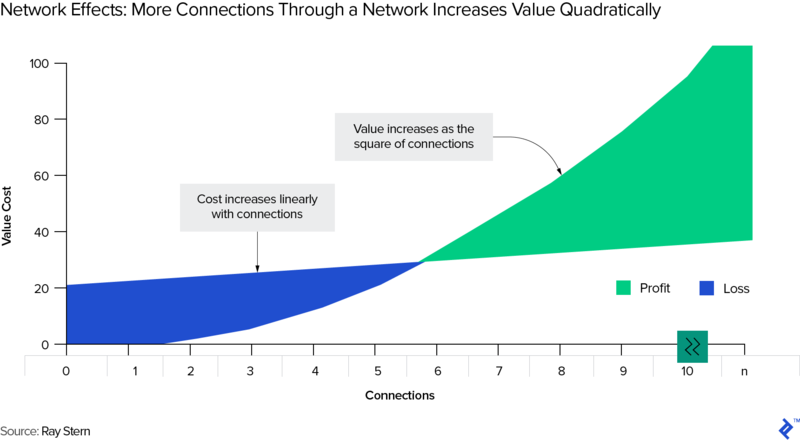 Network effects: Nurture your network, if users get value from it, it will translate to your bottom line. Do not gouge users by trying to milk them opportunistically. Intangible assets: There are two aspects to this advantage: either patents/trademarks or brand/culture. Either cannot be replicated due to its subjective nature and creates a powerful force field around a business. Continually invest in innovation and R&D, and don’t try to manufacture PR, instead focus on stimulating it. Efficient scale: Most commonly associated with natural monopolies that work best for all parties at a large size (think airports and infrastructure utilities). For more conventional businesses, well-thought-out M&A is the route to building economic moats within a certain geographic footprint. ….But in this day and age, do economic moats still matter? Warren Buffett is the most famous proponent of economic moats, preferring to invest in businesses that have defensible positions. Elon Musk disagrees with such an approach, preferring to attack incumbents. He argues that moats are uncompetitive, with the view that just taking a defensive stance will ensure that innovation will eventually outpace and prevail. The argument that moats don’t matter anymore stems from the David vs Goliath narrative that technology levels the playing field and allows upstarts, like Elon Musk’s Tesla, to take on century-old behemoths. It also corresponds with the sustaining innovation trap of incumbents eventually being usurped by disruptive innovators. Yet, economic moats are not monopolies, and in most cases are aligned with customer utility. For example, machine learning in data moats provides users with better recommendations on platforms like Netflix. Whether you wish to attack or defend the castle, is purely down to your personal business style. Yet one thing is certain, once you own the castle, you most likely will want to remain there, which is why moats will always matter. Despite the title suggesting another contemporary buzzword, efficient scale is probably the most “classic” of the economic moats. It refers to when natural monopolies exist that allow companies to serve consumers well due to their sheer scale, which in turn deters new entrants. Oftentimes this market is limited in its absolute size, due to geography and regulation. That is why utilities like airports, railways, energy, and infrastructure are often described as industries allowing for efficient scale moats. Build a new airport in a mid-market city and it’s a zero-sum game - flyer numbers won’t double overnight. An economic moat is when a business has a long-term and sustainable competitive advantage that is significantly better than its nearest competitor. What is meant by a narrow economic moat? Narrow economic moats are when there is an advantage, but it’s only a slight one in a specific area. For example, a patent that is close to expiration. What is a wide economic moat? A wide economic moat is a significant advantage that stretches across multiple areas. Such as having the lowest production costs and a significantly renowned brand name. How can competitive advantages be sustained? Through continually innovating and striving for long-term gain, over short-term opportunism, a business can refine and reinforce its economic moat over time. Home › Blog › Do Economic Moats Still Matter?